NO SPOILERS HERE! Just in case you were worried. They say inspiration can come from anywhere, and I have to say that definitely couldn't be more true. For one photographer, it came in the form of one his favorite TV Shows. 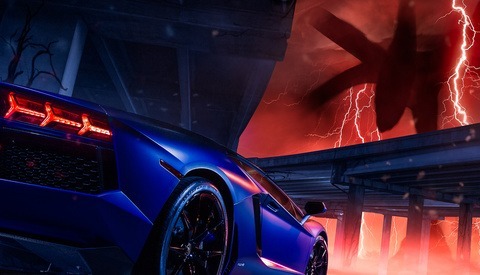 Commercial automotive photographer Pepper Yandell took his work with automotive photography and digital retouching, and combined it with imagery and concepts from the Netflix Series "Stranger Things" to make a truly unique photograph featuring one Lamborghini, and a monster from the show. Live streaming on Instagram, YouTube, and Facebook is nothing new in the age of social media. It’s a fantastic tool for marketing or just showing how much fun you’re having on a fun new adventure. What if you were able to completely immerse your viewers in the environment you're streaming? 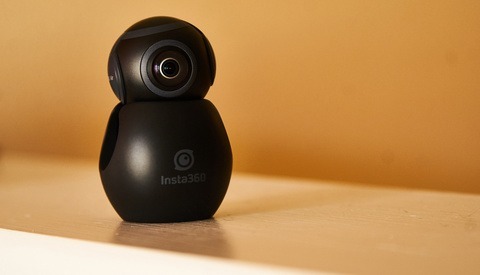 InstaAir 360 is one such a camera and I was given the opportunity to work with it. Much like the way the Willie Geist of Sunday Today describes his senior portraits in this video, mine were definitely a somewhat lackluster experience. The "edgy" photos I had were me in front of a shiny corrugated metal wall holding my favorite guitar at the time, I thought I was cool, and thank goodness this was really prior to the days of digital workflows otherwise I would be obligated to have an embarrassing photo of me somewhere in this article. But times have changed, and with those changes the standards for what constitutes a senior portrait have risen exponentially, especially with the emergence of social media's "do it for the likes, bro." There are many times in the automotive industry that when you're asked to shoot a car, you frequently cannot move the car either from where it is or far from where it's being stored due to its rarity, sometimes condition, and sometimes even questionable street-legality. This can definitely cause some problems when it comes to producing high-end images of the cars for a client. If they want only detail shots then you're good as you won't need to show much of the background to accomplish their goals. However, if they've got high hopes and want the car to be pictured anywhere except where it actually is you have to be a bit creative. 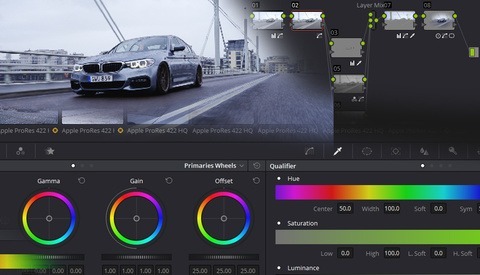 Anyone that has dabbled in the world of color grading knows it's a complicated art and science that can require a certain level of dedication and obsession to really get that perfect look to your videos and work. In order to do that with as little strain on you and your psyche as possible, there are a few things that you can do that will definitely aid in your work, but none are as valuable as setting yourself up with a dedicated monitor for your grading work. While setting up a fully rigged coloring studio is not a trivial expense, thanks to Aram K, you can learn how to create your own setup on a budget and still get accurate results. For anybody that's been looking to get a good quality camera setup all in one basket, now's the time to do it. 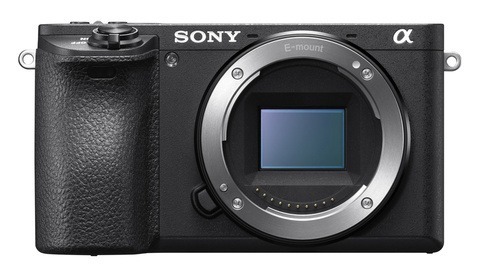 The team over at B&H Photo have listed the Sony a6500 for a whopping $400 off the normal price tag. But wait, there's more. Included with the camera in this package deal are a 64 GB SD Card, shoulder bag, extra battery, and most importantly, two lenses. Portraits - they've been the means of capturing the likeness and essence of their subjects since the inception of the camera, and even long before for the subjects of many paintings done though out the span of history. Over the years, the posing, techniques, the lighting, and even more recently, the psychology behind the photos has absolutely evolved to affect every aspect of how portraits are captured. One thing hasn't changed though as much and that's the medium. Fast forward to now, and bring into the frame, Marcelo Mandruca, a photographer from Sao Paolo, Brazil that made his subjects believe they were posing for a long exposure project, but he was in fact, recording video for 60 seconds of each of his subjects. In the world of film and commercial video work, there are so many working components that need to come together in order to have a successful production. 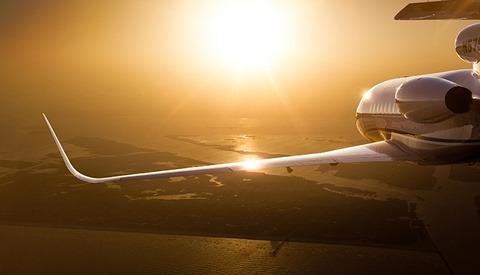 So when it comes to bringing all those components together, you want it to be as smooth and simple as possible to minimize stress and streamline efficiency so that production does not fall behind schedule. One of those components that is insanely critical for a finished product is the coloring — not an area you want to skip on. For some of us photographing the 24 Hours of Le Mans is a dream that would be a peak in our careers in the world of Motorsports Photography. The images created at this iconic race have been some of the most powerful images in the genre. For one collector however, his enthusiasm for the sport and an endless collection of scale replicas of the famous Le Mans cars led to him recreating some incredibly authentic looking images inspired by the Les Mans Race. 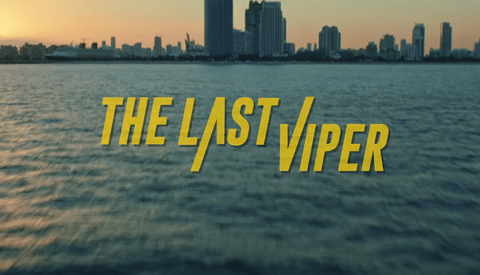 Flip on any TV right now, or go to your favorite YouTube Channel, and chances are you'll see a commercial for something tied to the sports or sports apparel world. It'll feature toned and muscular athletes doing extraordinary feats of skill, strength, or speed. 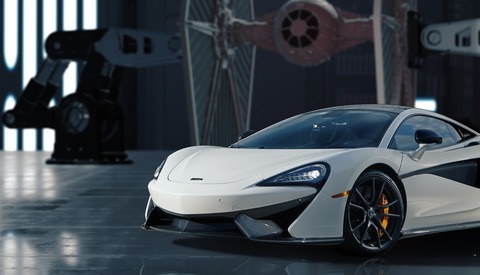 In the advertisements, there will be lots of fancy CGI or advanced computer graphics, and other such stunning visuals used to help sell their products. 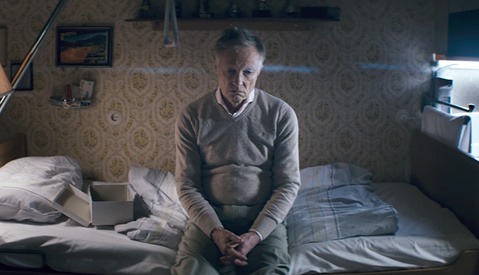 However, one German film student, Eugen Merher, thought that maybe a simpler more heartfelt approach could sell the message even better. 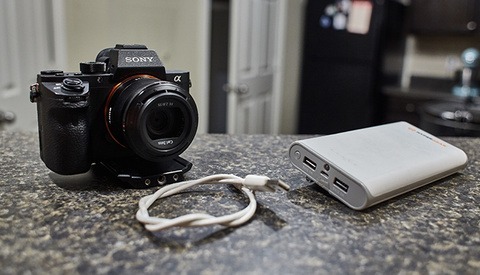 When you hear "Sony Alpha" and "battery life" in the same sentence, it tends to be followed with a groan or sigh, because if one article has covered it, a dozen have covered it and made a big deal about how quickly the small batteries in the Alpha cameras run out. 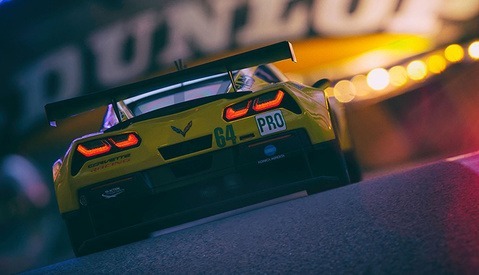 For me, 90 percent of my time with my Sony a7S II is spent doing video work, frequently during fast-paced events or sequences or racing the clock with lighting conditions. There's nothing more frustrating than being mid-shot and seeing that dreaded "Battery Exhausted" display pop up on your screen after draining your last battery after a long day of production. So, what options do you have to help extend the life of your battery? For those of you familiar with the band OK Go, in addition to their catchy songs, they've also made a name for themselves with their intricately planned out and executed music videos. With their newest video "The One Moment," they sought to literally film the entire video in just one moment. With the advancement and affordability of video technology available to consumers now, the number of budding and aspiring film and video makers has seemingly raised exponentially. 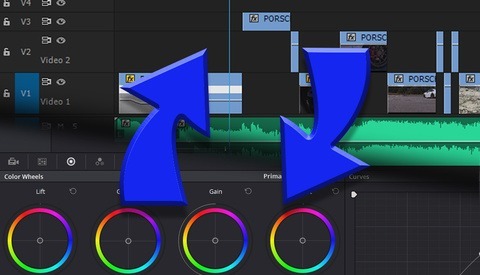 One of those advancements has most definitely been in regards to how the color correction process is handled. There's certainly no one path to success sort of idea with this either, but there are some things that you can do to help simplify and organize your process in order to work quicker and more efficiently. With Halloween fast approaching, people are either revealing the costumes they've been prepping for the past year since the last Halloween, or they're scrambling to figure out what they're going to be. However for one dad, with a custom hand made leather outfit, some know how, and a team of assistants, this Super Dad gave his 3-year-old daughter a Super Makeover. 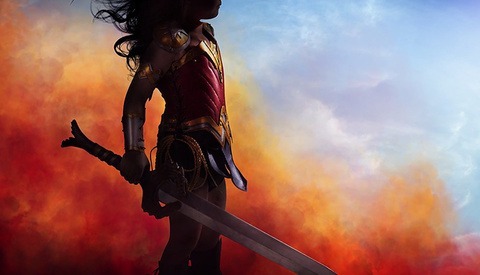 Inspired by the upcoming Wonder Woman Movie with Gal Gadot, he used some very clever photo manipulation to create the photo series. "Directing Stills," a video from Clinton Lubbe, was made in an effort to provide a video lesson on directing models on a shoot or project. He touches on many subjects that are important and powerful tactics to have the best success with models. It seems though that the most important aspect of it all boils down to one simple thing really, and that's communication, whether it's with the models, the makeup artist, or even an on-set assistant. It's important that you communicate in regards to what your goals are with the final images. 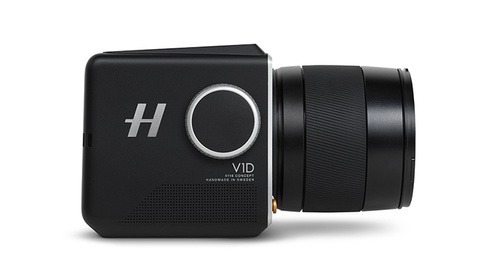 For most people in the industry, the name "Hasselblad" is synonymous with quality and high resolution. The company has been around since the 1940s and whether you remember it or not, many moons ago, a lot of cameras did not shoot the familiar rectangular format so many of us are accustomed to. They in fact shot in a square format, and that's exactly what Hasselblad is doing with this new camera concept, going back to a square format with a 75-megapixel back. 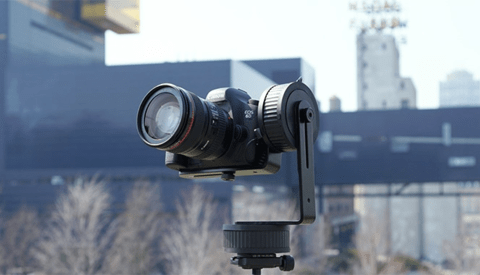 When it comes to time-lapse photography, there are a great number of items available for you to do just that. In fact you can head over to B&H Photo to really see just how many options there are. Most are fairly simple to use and come with some sort of remote allowing you to set the path and duration of your pass. Some are intuitive, others aren't as simple between setting keyframes, setting durations, or in some extreme examples, using a different module for each axis and having to program each independently in order to achieve a multi-dimensional movement. How much simpler would it be though if you could draw your intended path for your time-lapse and have it up and running in a matter of a minute or two? 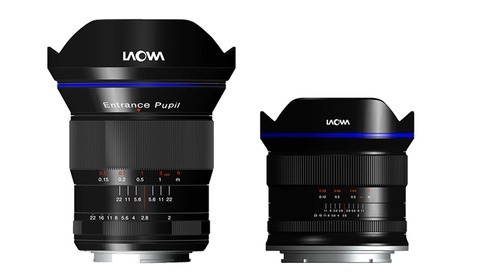 For Sony E-mount and micro four thirds (MFT) users looking for wide and fast lenses, look no further. Venus Optics has released two new lenses to help assuage your needs. Their new 15mm f/2 E-mount is the world's fastest E-mount rectilinear lens with a 110-degree field of view, and a fast wide open f/2 aperture promises to be an extremely fast and sharp lens. The 7.5mm f/2 is the widest rectilinear lens ever designed for MFT cameras, lending itself to extremely wide fields of view and wide aperture use for everything from cameras to drones. Professional Photography Student, that trades images to other people for money. 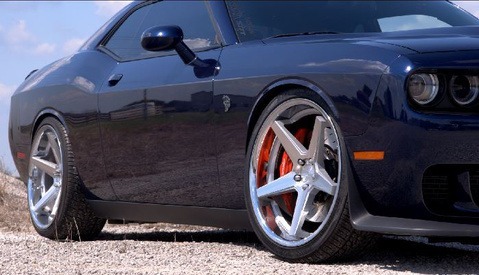 Specializes in automotive and commercial work, but enjoys a great many genres past those. Excited for the opportunity to share what he has learned with others as they strive to better themselves.